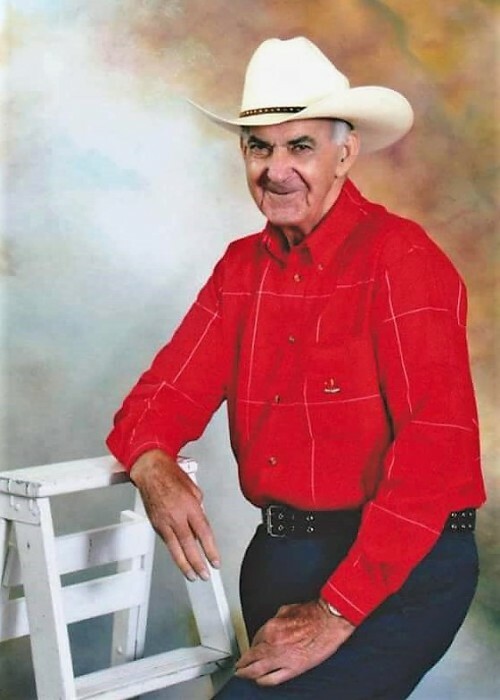 Mr. Billy Herndon, 85 years old, passed away Thursday, October 18, 2018 at his residence. Mr. Billy was born March 1, 1933 in Marlboro County to the late Edmond and Janie Herndon and the late Theo Cole Herndon. Billy was married to the late Mildred Sheppard Herndon. He was employed as a crane operator with Becker Sand & Gravel for 25 years. Mr. Billy enjoyed fishing, cooking, working on lawn mowers and enjoyed spending time with his pets Max and Coco. Most of all he enjoyed talking about old times with family and friends. Mr. Herndon was a member of the Bennettsville First Church of the Nazarene. He was preceded in death by his parents listed above, his beloved step-mother, Janie Herndon; his wife, a grandson, Dustin Seals; great grandson Ronnie Blake Rowlen; brother, Prentis Herndon; sisters, Nancy Burrow, Betty Chavis, Lou Ellen Sanderson, Susan Herndon and Wilma Smith. Mr. Billy leaves behind daughters, Becky Hicks (Ronnie) of Bennettsville, Peggy Sue Stubbs (Terry) of McColl and Penny Lowery (Brandon) of Bennettsville; brothers, Bobby Herndon of Bennettsville, Edmond “Pee Wee” Herndon of Liberty, NC, David Herndon, Sr. (Judy) of Cheraw and Donald Herndon, Sr. of Liberty, NC; sisters, Francis Hutson of Laurel Hill, NC, Carrie Wilkes of Bennettsville and Linda Jordan (Jessie) of Cheraw; a brother-in-law, Claude Chavis of Bennettsville; a sister-in-law, Annetta Herndon of Maxton, NC; grandchildren, Renee Rowlen, Bubba Rowlen (Suzanne), D.J. Seals (Jodie) and Dylan Seals and 10 great grandchildren. A visitation will be held from 3:00 to 4:00 p.m., Monday, October 22, 2018 at Burroughs Funeral Home. A funeral service will follow the visitation at 4:00 p.m. with burial following at Rogers Cemetery in McColl, SC. On-line condolences may be made to www.bfhbennettsville.com. Burroughs Funeral Home is honored to assist the Herndon Family.